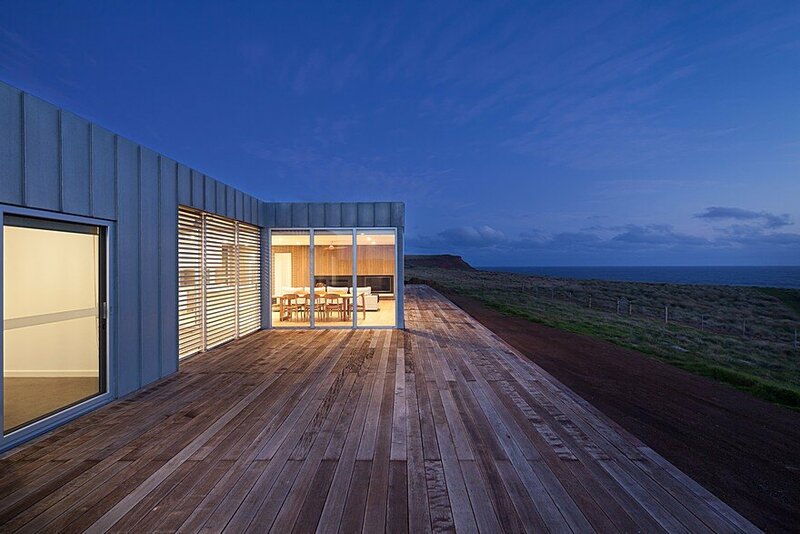 Set on a windswept hillside overlooking Bass Strait sits a modular home that allows the epic coastal location to be experienced in all its many states. 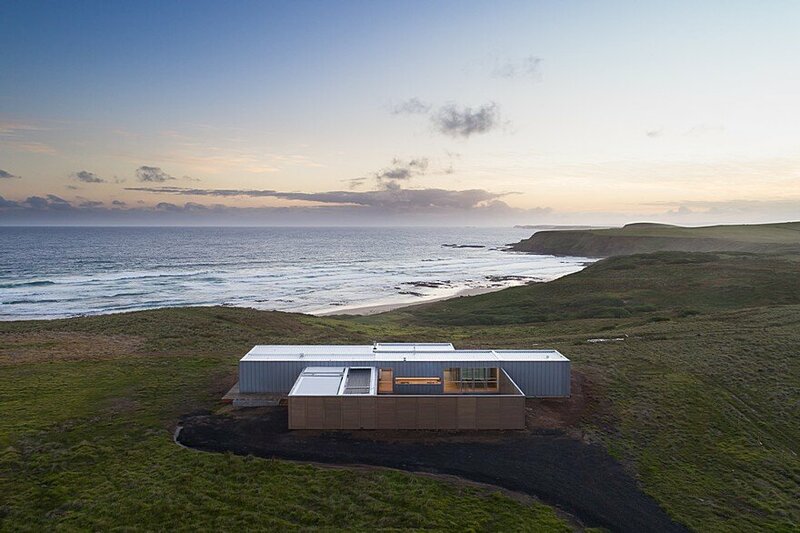 The Phillip Island House evolved from a pragmatic response to the challenges of occupying an exposed coastal site. 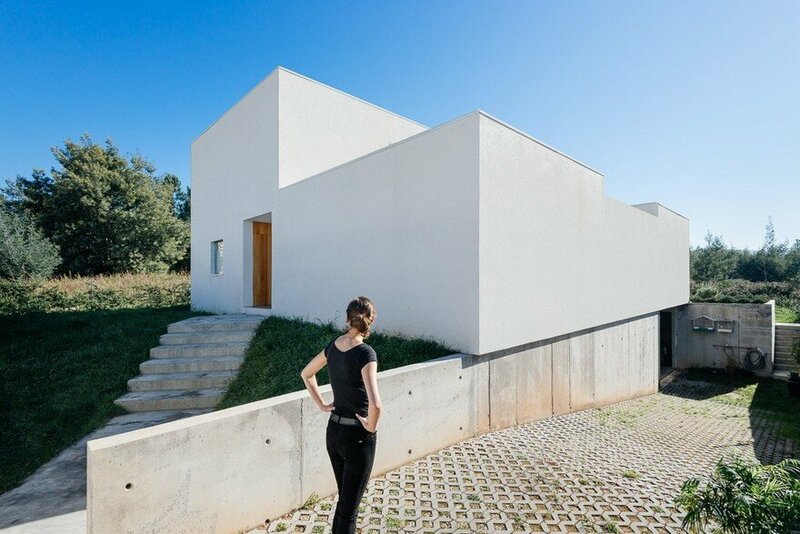 Winds, often extreme, shaped the design with the house acting as a barrier and protecting the external courtyard tucked in behind. 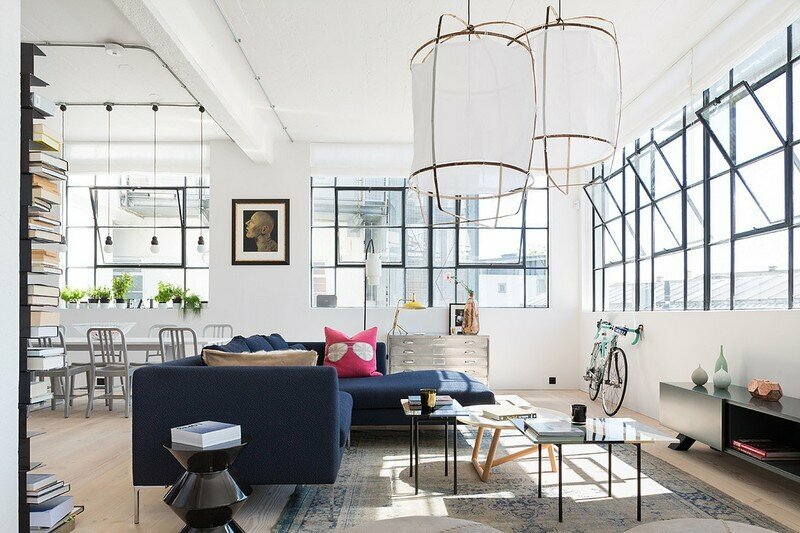 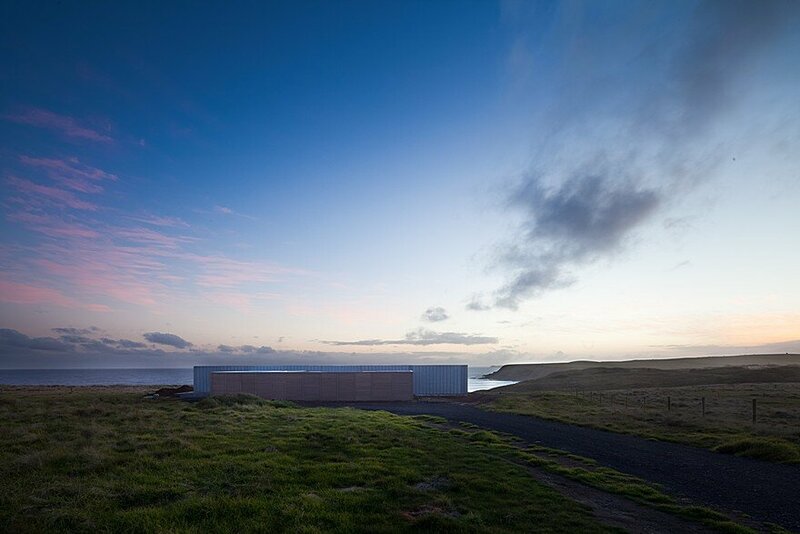 Important to the design was the organisation of internal and external living spaces to ensure they provide shelter at different times of the day and year while still allowing the amazing views to be experienced from within. 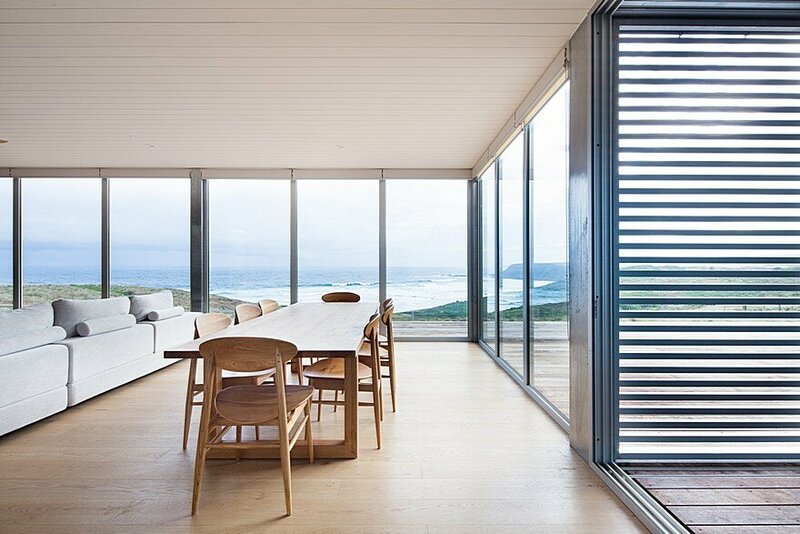 Conceptually upon approach the house is designed as two simple volumes – one clad in pacific teak timber, the other clad in zinc. 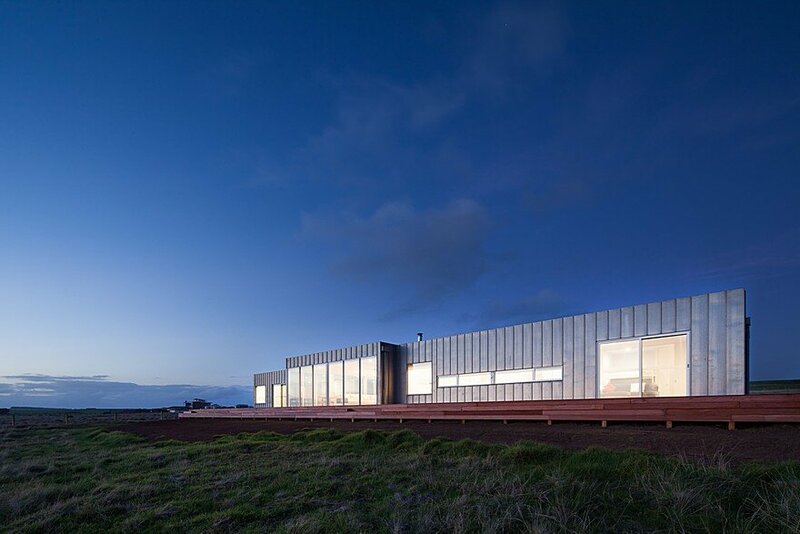 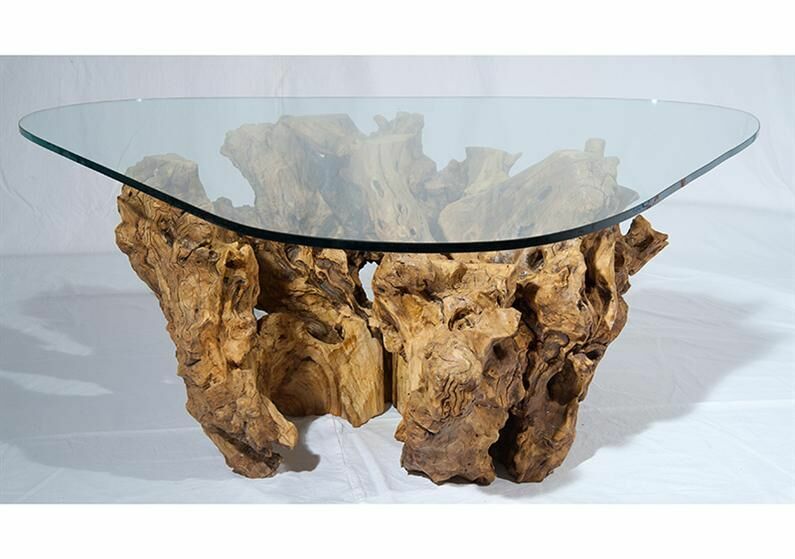 The contrasting materials will continue to change as they weather and provide a warm counterpart to the wild coastal setting. 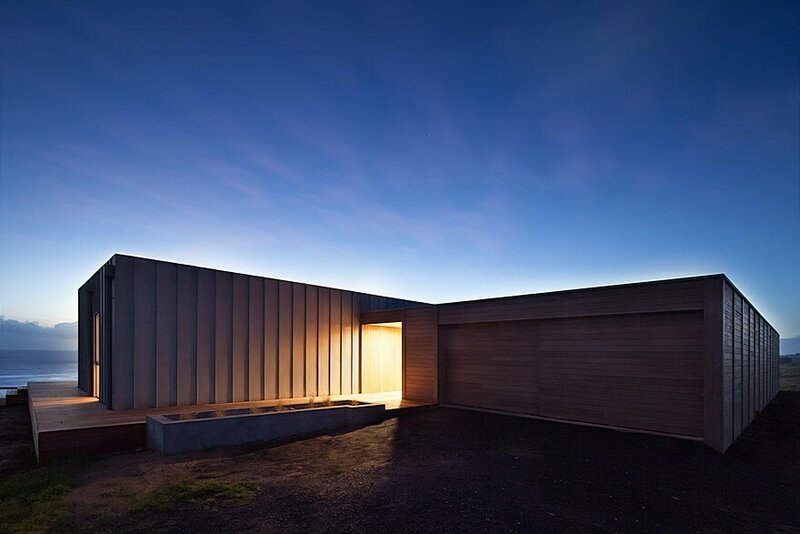 Timber wraps around the entry and garage to form an enclosed courtyard housing a pool – a space which provides the clients with another haven from the wind. 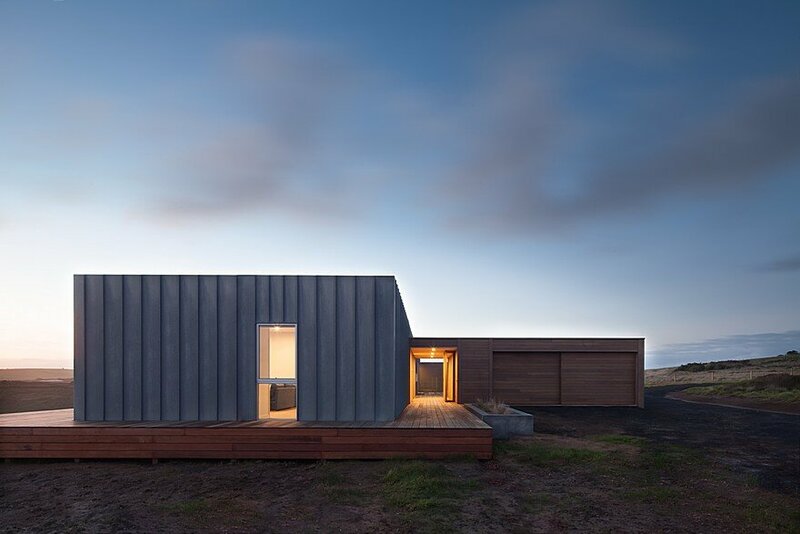 The main house, clad in zinc, stretches across the site and follows the contours of the land. 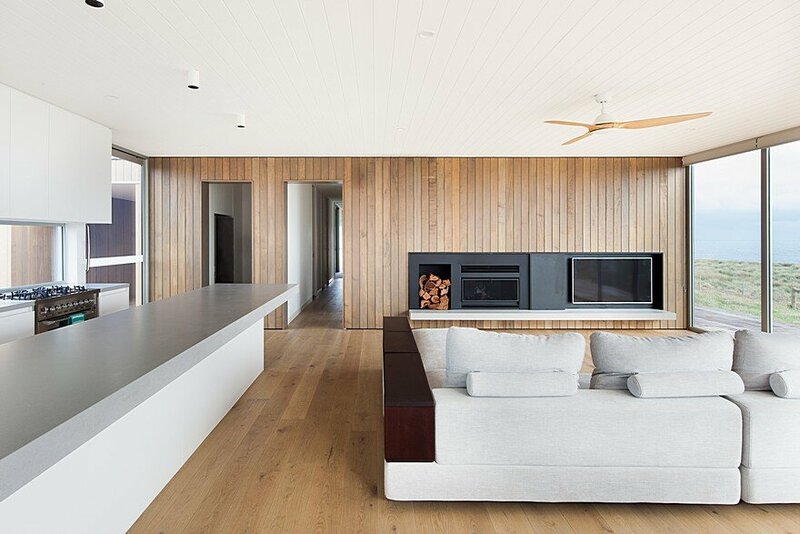 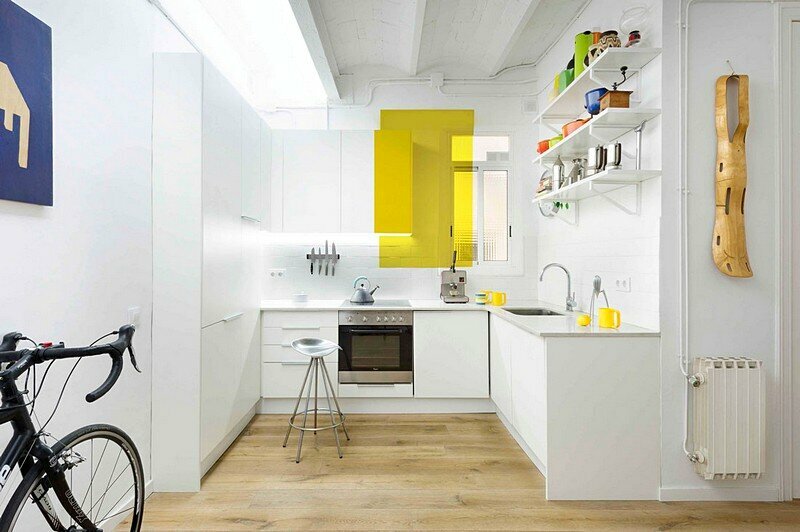 The four bedroom house is organised around a central kitchen/living/dining space. 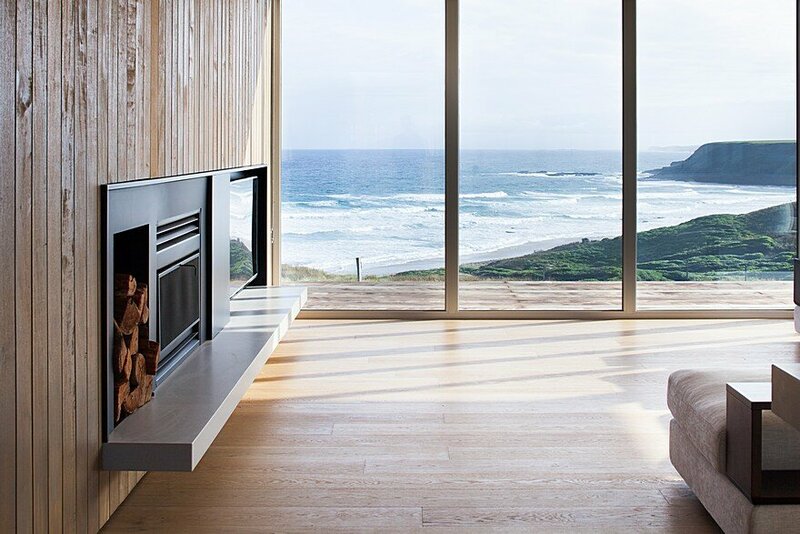 With plenty of glass, the space captures a wide spread of incredible views – from the sandy beach to the west, to the rocky heads in the south. 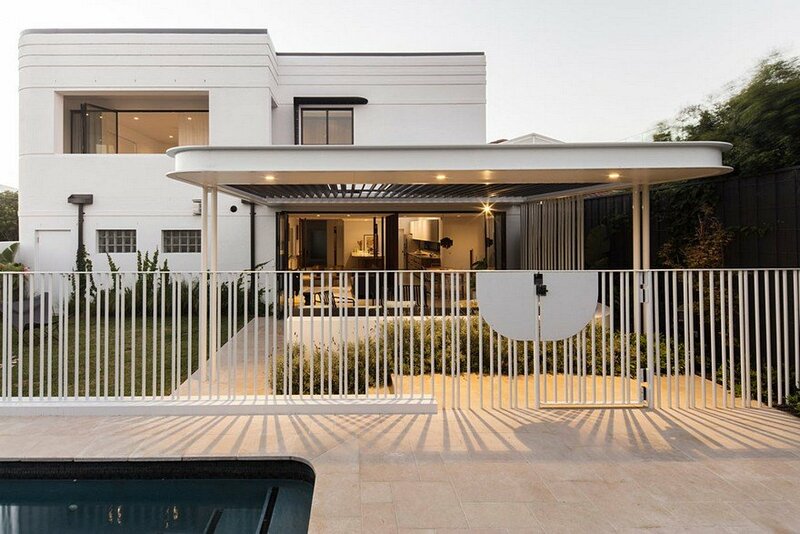 The kitchen is at the heart of the home and becomes the intermediary space between both indoor and outdoor living – perfect for keeping an eye on the kids in the pool while preparing a meal. 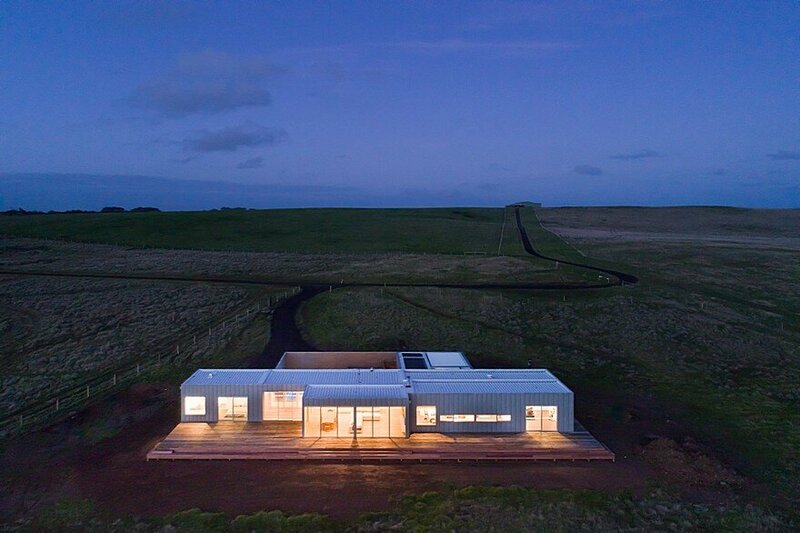 Meeting all the functional requirements for an efficient holiday home, the 300sqm design is flexible enough to cater for extended family members. 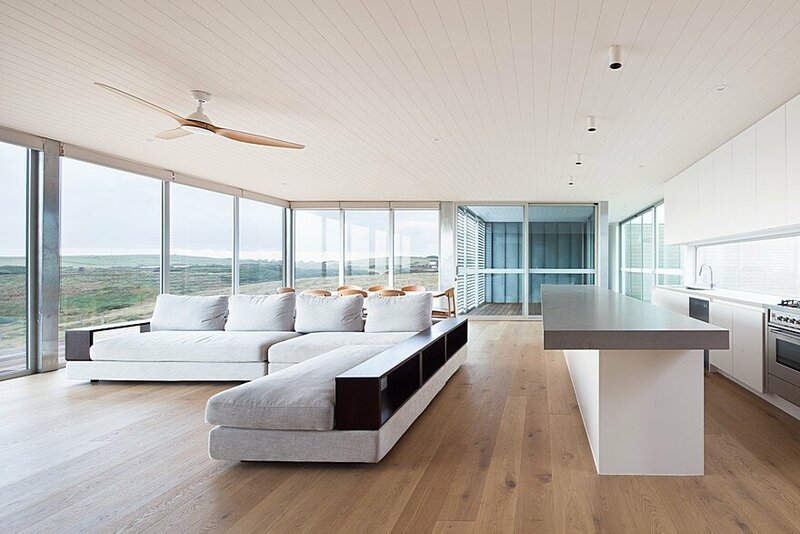 A large rumpus room at one end of the house can be screened off from the bunk beds to form an extra room when needed. 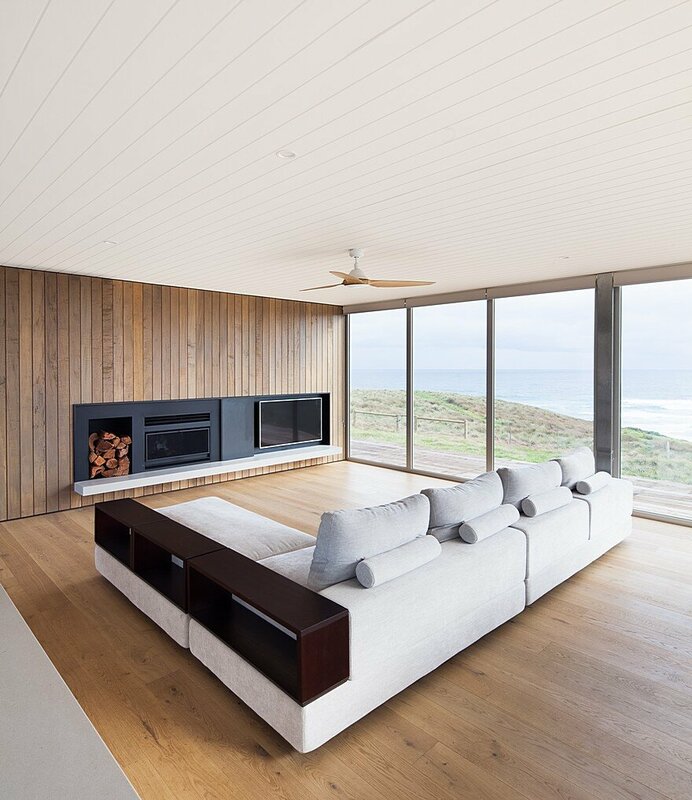 The private master suite is separated by a glass linking space which includes sliding timber screens that can be used to lock-up outdoor furniture while away. 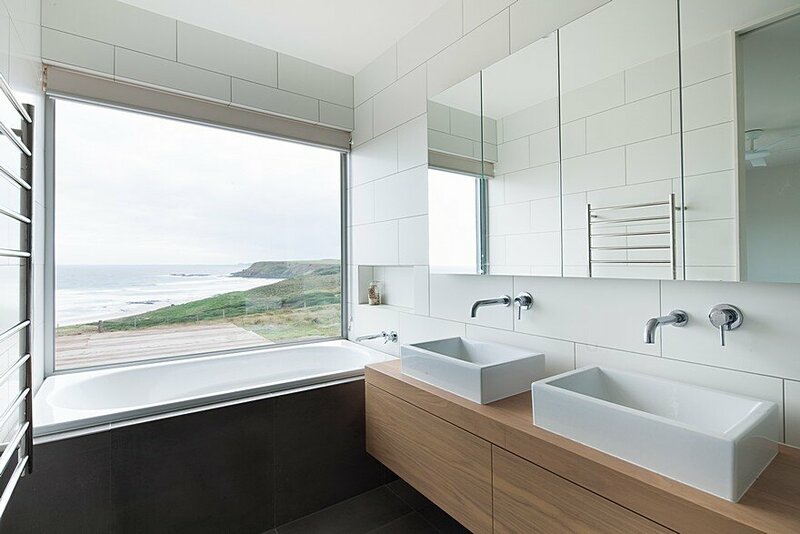 For the clients, a desire to sit in the bath and look out to the untamed coastline was a must and the end result certainly delivered – a quiet retreat from the bustle of their Melbourne lives.